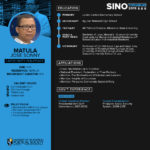 “When a province is divided into small separate provinces and it occurs shortly before the election period, it is called gerrymandering,” explained Dr. Perlita Frago-Marasigan. 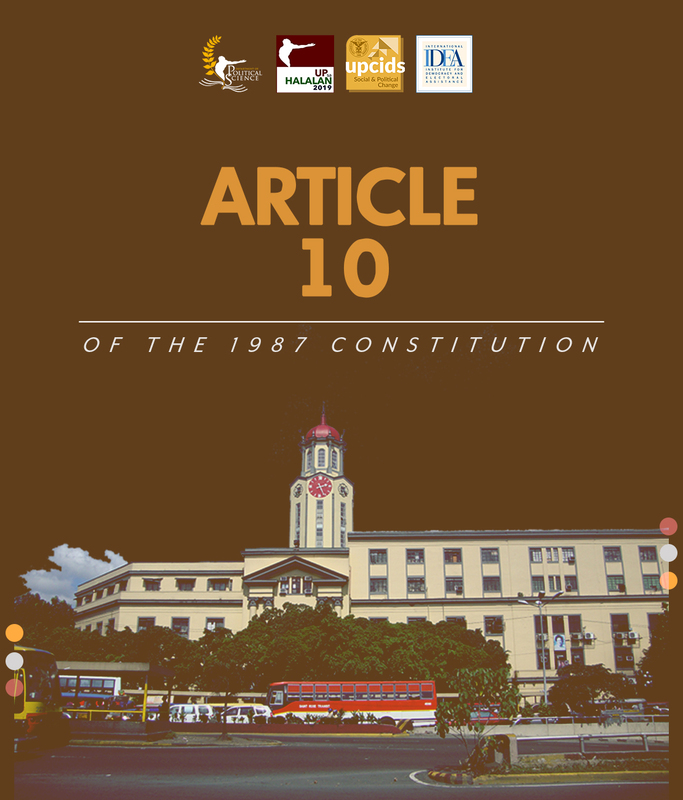 There is a separate article on local government (Article 10) under the 1987 Constitution that is more extensive than its counterpart in the 1973 Constitution. 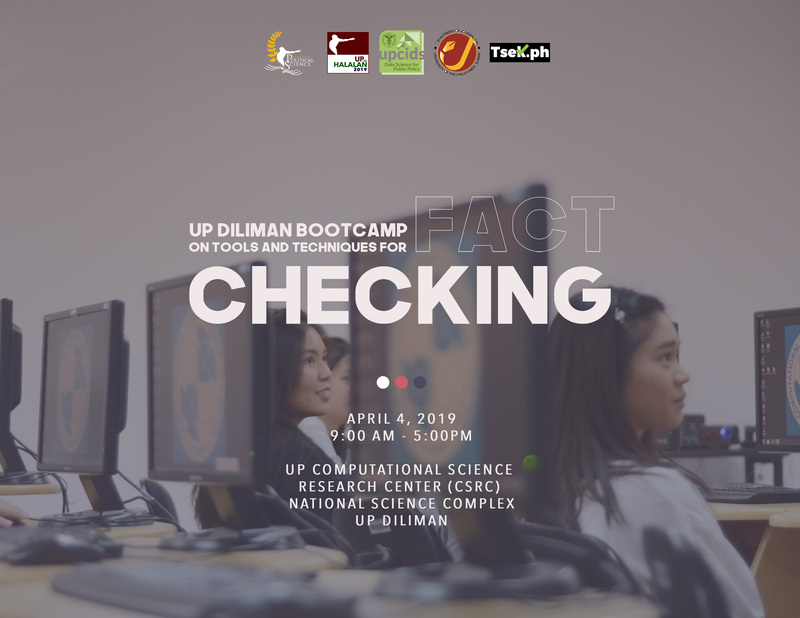 The UP Department of Political Science, UP sa Halalan 2019, UP CIDS Program on Data Science for Public Policy, and UP Department of Journalism, together with Tsek.ph, present "UP Bootcamp on Tools and Techniques for Fact-checking," on April 4, 2019 (Thursday), from 9:00 am - 5:00 pm at the UP Computational Science Research Center (CSRC), National Science Complex, UP Diliman. 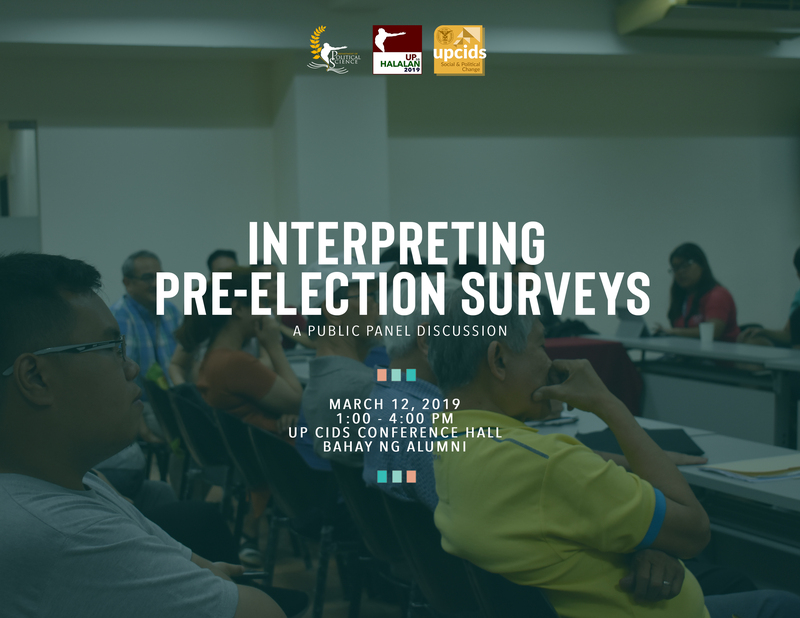 The UP Department of Political Science and UP sa Halalan, with the UP CIDS Program on Social and Political Change, present “Interpreting Pre-election Surveys,” a public panel discussion with experts from the industry and academe on March 12, 2019 (Tuesday), 1:00-4:00 PM at UP CIDS Conference Hall, Bahay ng Alumni. My wife who used to be a Du30 supporter will now vote for you Sir @fthilbay ...still trying to convince her to vote straight Otso Diretso... but she promised me she will definitely not vote for any of the HNP /PDPL canditates. There is hope for the Philippines. Ang @ImbestigadorGMA ng Bayan na si Mike Enriquez, hinihikayat tayong #PusuanAngTotoo ngayong #Eleksyon2019, mga Kapuso abroad! 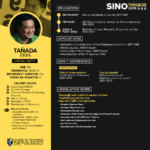 This publicly-accessible web portal is administered by the Department of Political Science of the College of Social Sciences and Philosophy, University of the Philippines Diliman. 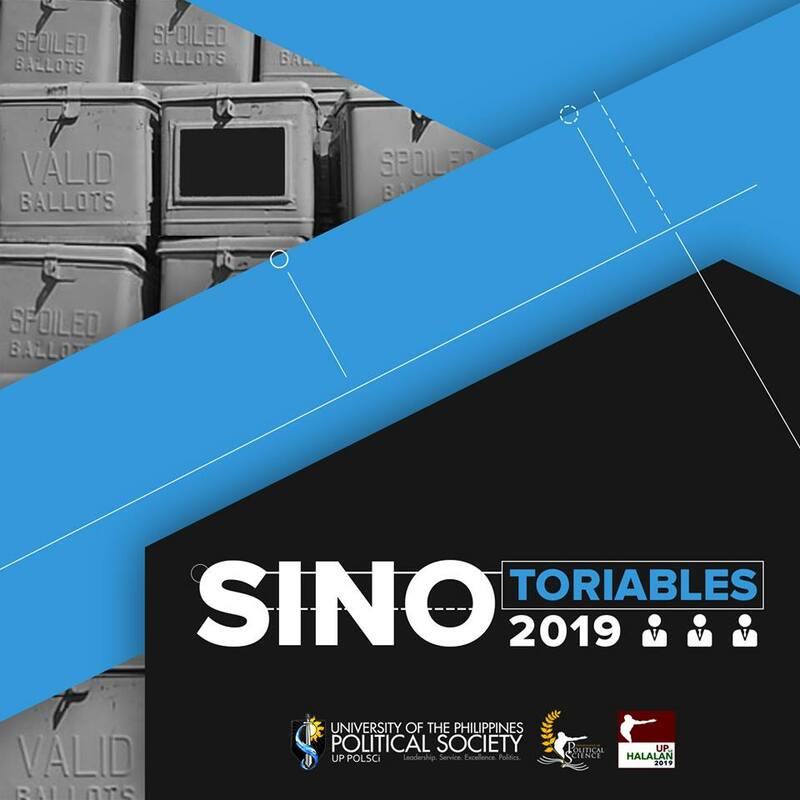 It serves as a repository of contents related to elections and Philippine politics that will provide media groups, civil society groups, political parties, and the general public relevant information about elections, voting, political parties, and issues pertinent to the 2019 elections. 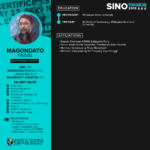 Copyright © 2019 UP sa Halalan. All rights reserved.